Welcome to our second book giveaway featuring Hollywood NobodyThis giveaway is now closed. Please join us the week of the Ultimate Blog Party for even more giveaways. 1. Leave a comment with an email address or a blog where we may reach you. **(You don’t have to have a blog to participate). 2. If you have a blog, please write a small post with a link back to our website. This is not required, but it’s greatly appreciated because it helps us spread the word about our blog. Description: Aidan Thomas is miserable. And it’s much more than the strange nightmares he’s been having. Just when life seemed to be coming together for Aidan, his parents suddenly move the family across the country to take care of his wheelchair-bound grandfather. 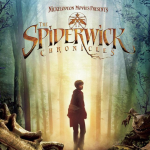 When strange events begin to occur, Aidan is drawn into his grandfather’s basement where he discovers three ancient scrolls and an invitation to another world. No longer confined to the realm of his own imagination, Aidan embarks on an adventure where he meets knights, warriors, kings and mysterious Glimpses who can travel between worlds. Aidan joins them in the struggle between good and evil. With the fate of two worlds hanging in the balance, Aidan faces Paragory, the eternal enemy. Will Aidan be willing to risk everything and trust the unseen hand of the one true King? 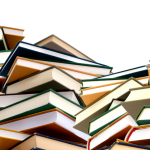 Review: There are some books you just “click” with and some you don’t – despite how much you’d like to. Though this was a good book, full of adventure, well written and fast paced – I never could get into it. My 13 year old son, on the other had, really enjoyed it. The main character is a boy, but a strong secondary character is a girl, so I think both boys and girls who like fantasy will enjoy the book. Spiritual Elements: Christian symbolism is strong throughout the book. Lessons on faith, the ultimate decision to accept or deny Christ, Satan’s fall, are written into the story in a very believable way on a level that tweens and teens will be able to identify and ponder. Violence: There are several intense battle scenes. Rating: 4 for intense battle scenes, nothing too gory though. Recommendation: Though this was not my favorite book of this genre – I would recommend it. It is a clean read, that tweens/young teens will enjoy. The moral lessons it teaches are easily recongnizable and relevant to any age group. I believe your child will enjoy the book and eagerly ask for the rest of the trilogy. Description: Sixteen-year-old Leinad thought he was a common farmer’s son, nothing more. He wondered why his father had trained him for years to master the sword–not exactly a tool of the trade for farmers–but one tragic event initiates a world of revelation. Only then does he understand his true calling–a calling no other man in the entire kingdom of Arrethtrae can fulfill–a calling given him by the King Himself.Teamed with a young slave girl, Leinad is thrust into adversity and danger–for the Dank Knight and his vicious Shadow Warriors will stop a nothing to thwart the Kings plan to restore the kingdom. Leinad will need more than a sharp blade and a swift hand to fulfill his mission and survive the evil plots of the King’s sworn enemies!Journey to Arrethtrae, where the King and His Son implement a bold plan to save their kingdom; where courage, faith and loyalty stand tall in the face of opposition; where good will not bow to evil–and the future of a kingdom lies in the hands of a young man. Exciting fiction for teens. Review: I enjoyed this book and would highly recommend it. The story was exciting and fast paced and the characters are likable. Positive: Leinad’s father was an excellent role model. He taught him the ways of the “King” and told him of his journey to follow Him. The father was kind to people, admitted his imperfections, and did his best to prepare his son for the life the “King” has planned for him. 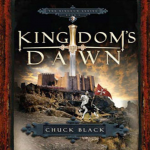 Spiritual Elements: Kingdom’s Dawn is the “most Christian” fiction teen book I’ve read yet. All the characters and story lines have parallel’s in the Bible. There is a section at the end of the book that asks a couple questions on each chapter and another section that gives the answer. I liked that section – I generally read it before I read the chapter. Then I could see how this person’s journey was similar to Moses’s and the event in the book represented another from the Bible. I think it’s also helpful to teens in helping to relate the people and the events to their own lives and situations. Other: I wish the books were longer, perhaps making it a series of 3 books rather than 6. Rating: 5 – There is nothing inappropriate in this book. Recommendation: I highly recommend this book. I am anxious to read the rest of the series. Description: The fourth installment of the life of Joey Pigza begins when his father suddenly reappears after having won the lottery and wants to start a new life complete with new names — with his estranged family. Joey reluctantly accepts him back into his life as things seemingly start to look up. But has his dad really changed for the better? Review: The only redeeming quality of the book is that Joey is a very likable character. He is wise beyond his years, but the story lacks hope as well as morals. Even the humor of the book was overshadowed by the immorality and foolishness of the adults. Positive: One of the main themes of the book is forgiveness. Joeys mom encourages him to forgive his dad not only for his dads sake but also for Joeys. He eventually does and finds this is a much better way to live. Spiritual Elements: Personally, I believed that Joeys mom believes in God, but his father is so wrapped up in the idea that he needs to earn good karma that his beliefs take over most the spiritual elements of the story. Joeys dad wins a small lottery amount and feels this was all due to karma. His goal is to earn enough good karma in order to win the big lottery and be set for life. Joeys mom even buys his dad tarot cards, a crystal ball, and a visit with a real gypsy as Christmas presents in order to predict the future. Violence: The story begins with Joey remembering the crazy ways of his recently deceased grandmother. Once she told him he was like a chicken with its head cut off because of Joey being on medication for attention deficit disorder. To prove her point, she chops the head off a live chicken in Joeys presence. Then, later that night, the dog finds the head and leaves it on Joeys pillow where he wakes up to the site of chicken guts. Language: Good Lord and Oh God are exclaimed a few times. Joey tells a police officer to, Kiss my honey-dipped doughnuts. You read between the lines. Sexual Content: Joeys dad states that he and his mom wont be living in sin anymore after they renew their wedding vows. His parents were never divorced even though Joeys mom led him to believe that. They were just separated. Other: Joey, a 6th grader, is the voice of reason in the book. His parents, especially his dad, lead him down a road of complete chaos. First, his dad changes his own name and encourages his mom and Joey to do the same. Joey reluctantly accepts because he is led to believe that this will correct all the mistakes of the past. Secondly, his parents pull him out of school in order to work in his dads new diner. The only thing is, they dont plan on home schooling him but want the authorities to believe he is being schooled. Thirdly, his dad is a recovering alcoholic, which is a surprisingly positive note, but he is by no means looking out for Joeys best interests. At one point, he even offers Joey a drink. Poor Joey declines because he wants to be a good example for his baby brother. Joeys mom tells him that she drank a little when she was pregnant with him and could sure use a drink now in her pregnant state. Spoiler Warning: Joeys dad is so caught up in finding himself that he has plastic surgery to change himself completely. He doesnt reveal his new face to his family but instead leaves them the day of his second sons birth. Rating: 1 for Joey being offered an alcoholic beverage twice by authority figures as well as Joey getting into the car with a man who had been drinking. This book is not recommended. Recommendation: Im not sure I would recommend any of the books based on this one, but to be fair, I havent read the other books in the series. Joey was the adult in the story. He sensed when something wasnt right with his dads ideas and even tried to talk some sense into him. The book was meant to be humorous with all his dads harebrained ideas, but mostly it was just offensive. There is always hope through God, and I think children need to be taught that. The book does teach one thing though. You cant always rely on others. I would recommend your child read something else. Description: When Jake Sheffield, a typical Christian teenager, awakens to discover that he can hear the deepest spiritual needs of those around him, the reality of the deep needs of the world hits him. And the lives he touches, through the help of the Holy Spirit, will never be the same. As his friends witness the power of sharing Christ with others, they too begin to “hear” like Jake. Review: This book is interesting, powerful, and extremely relevant. The storyline has a wonderful, supernatural element to it that takes the reader into the troubled minds of today’s teens and shows that God is the hope that every Christian has to offer. 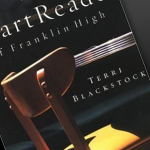 Written to motivate teens to evangelism, this book will impact any person of any age. Positive: Jake really wakes up to the needs of those around him and becomes much less self-centered. He fights his gift at first, but with the help of his youth minister, he soon becomes a true missionary everywhere he goes. When his ability to hear the deepest needs of the hearts of those around him disappears, Jake is tempted to return to his life of mediocrity, but after speaking to those whose lives were changed because of him, Jake continues to be a witness to those around him. Violence: One of the students that Jake witnesses to is planning an attack on the school, but no violence ensues. Other: Jake comes into contact with many people with dark secrets and troubling problems. He talks to a kid in re-hab for drug addiction, a pregnant teen considering abortion, and a girl contemplating suicide, just to name a few. Recommendation: I would recommend this book to teens 15 and older, and all ages of adults. If you’re the parent of a mature teen or pre-teen, just be aware that the book addresses the more serious issues facing today’s youth. Description: At the beginning of this new series, a young Barn Owl named Soren lives peacefully with his family, participating in rituals like the First Meat ceremony, and enjoying legends about the Guardians of Ga’Hoole, knightly owls “who would rise each night into the blackness and perform noble deeds.” After he falls from his nest, his idyllic world transforms into one of confusion and danger, as he is captured by evil chick-snatching owls and taken to the St. Aegolius Academy for Orphaned Owls. Soren and his new friend Gylfie work to develop strategies for withstanding “moon blinking” (brainwashing), while secretly striving to learn how to fly. The legends of Ga’Hoole help them to survive, and they are able to escape to find their families and warn the world about the dangers of St. Aegolius. While the owls have human characteristics, such as Soren’s determination and Gylfie’s creative ideas, their actions and culture reflect Lasky’s research into owl behaviors and species. 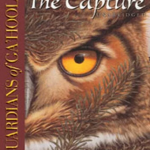 Review: The Capture was a fast paced read, well written, and addictive. I did not want to put the book down. I was rooting for Soren and Gylfie through their many tests and trials. These two very different owls form a special friendship and fight for what is right. They make tough, selfless choices and had me applauding them outloud! Positive: Soren and Gylfie are owls who have been kidnapped from their nests and taken to a bad place. They both really miss their families. I loved their sense of family and how they spoke so fondly of them. They were both smart owls who thought hard and questioned what was going on around them. They did not give in to “peer pressure” and blindly follow the others. They were true, very loyal friends to each other and welcomed other owls into their new “family”. Spiritual Elements: There were no real spiritual references made. Violence: As common with adventure/fantasy books there are some battle scenes with mild violence. No gory details, just intense. Language: The owls occasional curse, but not with our curse words, they are owl curse words – such as “racdrops” (raccoon droppings). Recommendation: I enjoyed this adventure. 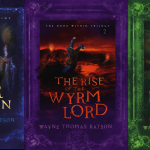 I would recommend it to the younger adventure/fantasy reader – about age 9 – 13. Description: It all started with a mysterious letter left at a tiny bookstore for authors Tony DiTerlizzi and Holly Black. Its closing lines: “We just want people to know about this. The stuff that has happened to us could happen to anyone.” Little could they imagine the remarkable adventure that awaited them as they followed Jared, Simon, and Mallory Grace and a strange old book into a world filled with elves, goblins, dwarfs, trolls, and a fantastical menagerie of other creatures. The oddest part is in entering that world, they didn’t leave this one! Positive: Simple, short, easy to read. Spiritual Elements: Dont recall any references to religion. Violence: Many events are quite suspenseful and some are too gory. Many would not appreciate the part where cats were roasted and eaten by goblins, and in a future book I read that a cow was chained down while baby dragons nurse from her with sharp teeth until shes bloody. Recommend: After only reading 2 of the series I would have to say I would not recommend this series. It is just too gross and gory. The goblins and trolls are scary, mean, and spiteful. My eldest did read the series and enjoyed it, but had I read it first I would have denied his request to read it, and pointed him in a better direction. All books are rated for suitability using the scale below. Books are rated 1 through 5 with 5 being the highest rating or least offensive. We realize different parents as well as different reviewers may have opposing views on a books rating. This is one reason we developed the scale. However, if you have a differing opinion about a book, please feel free to comment in a respectful manner. We hope that the scale below will be of benefit to everyone. If you have any doubt in the appropriateness of a book for your child, we recommend you read the book yourself. Shortlisted: Books we chose not to finish due to content. These books are definitely not recommended. The first book in the Mistmantle Chronicles introduces a mystical, medieval island and its anthropomorphic woodland denizens. The hedgehog King Brushen rules the island of Mistmantle and his squirrel, otter, mole and hedgehog subjects. The mists that surround the island give it its name, and also hide it from outsiders-except for one pregnant squirrel who finds her way to its shores in time to give birth to a child of prophecy (“He will bring down a powerful ruler”) before she dies. Crispin, a squirrel who serves as one of the king’s Captains, discovers the baby on the shore and names him Urchin. The young squirrel is thrilled when Crispin, “[his] hero,” later asks Urchin to be his page. But Urchin’s joy is short-lived when the king’s young son is murdered, and-by an arcane system of drawing lots-Crispin is determined to be the murderer. Urchin, the otter Padra (his new master) and other loyal subjects strive to uncover the conspirators set on overthrowing King Brushen. ” `And, Urchin,’ Padra added quietly, `whatever those sharp squirrel ears pick up, be careful of repeating anything…. I know Crispin was innocent and so do you…. But there is danger in high places on this island.’ ” Urchin and his young friends make friendly, virtuous heroes, and younger readers may well look forward to their future adventures. Ages 8-up. (Aug.) Copyright 2005 Reed Business Information. Positive: This book had a clear good versus bad story line. The heroes make the right choices in the face of tough circumstances. There are great lessons in loyalty, character, and standing up for what is good and right. Spiritual Elements: The good guy, Urchin is a child of prophecy. He has been born to save the village from an evil king. At one point they cast lots to determine who murdered one of the characters. Other: The bad guys drug the good guys with wine in place of water. Recommend: I will allow my 12 year old to read this book. I felt like the story was a clear, classic good against evil plot. I would suggest the book be read by 10 and up. I wish the references to wine werent included and will discuss that with myson. Description: Pamen, what once was North America, is now twelve districts ruled by the harsh Capital. Every year the Capital makes each district give one boy and one girl between the ages of twelve and eighteen to the Hunger Games. The kids are put into an arena to fight to the death, and the victor is rewarded with riches. When Katniss sister is chosen to play in the games, Katniss, seeing the games as a death sentence, offers to take her place. She is accepted, and she goes to meet her fate. She has survived death once before, but will she survive it again? Rating: 3 for violence and drinking. Positive: Gale and Katniss care for each other, and when one is in need, the other helps her get through it. There are numerous times when Katniss and Peeta try to save the others from death. Violence: This book is about an area with 24 kids in it fighting to the death, so naturally its going to get violent. However, since it is from Katniss point of view, we dont see that many deaths. There are a few, however. Two scenes that I found to be the most violent are when Katniss is having hallucinations of decaying dead bodies and when she sees a boy being eaten by mutant wolves. Most of the killings in the book are not described in great detail, but death is certainly prominent. Sexual Content: There is a lot of kissing, and Katniss and Peeta sleep together to keep warm. Other: Haymitch is a HUGE alcoholic. In almost every scene he is drunk. Recommendation: The Hunger Games is definitely for young adults. Children would probably be scared by the violence. However, for the story line, Collins kept the violence to a minimal. The other problem I had with it was Haymitchs drinking problem, but other than that I enjoyed the book a lot. It was well written and definitely worth reading.